Gabe's babes: Favorite Baby books- and a give-away! 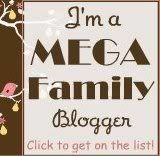 I just posted on our Family Bible Reading. It is important to us that our little ones hear God's word from the time they are born. Allowing little ones to touch and hold Bibles and Bible stories is helpful in teaching them to love God's word. We've found that by the time they can walk around they usually want to cary a Bible around with them! We do let them handle our regular Bibles, but take a look at this post for one of the hazards to that (and for a good laugh). 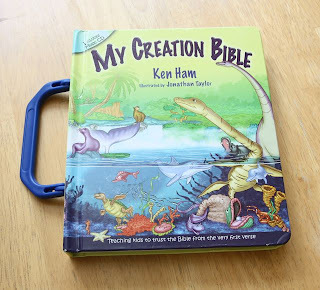 We like the "My Creation Bible" by Ken Ham that Answers In Genesis puts out. We really like that though it is not scripture it shows a more Biblical account than most "baby Bibles" do. It starts with a quick explanation of what the Bible is, and who God is and then goes on to give an account of creation and the first sin; all in a nice easy to read rhyming pattern. 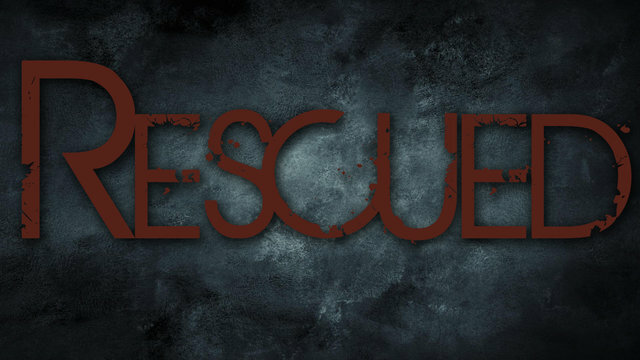 It also gives the account of Noah and the Tower of Babel, all while connecting sin and our need for a savior (and that Christ offers that salvation)! Answers In Genesis has generously provided a "My Creation Bible" to give away! I'll give you a few ways to win this book. 1. Leave a comment here with your e-mail address (spelling out the "dot") so that I can contact you if you win. Yay! I love giveaways! This looks like a great Bible and I know my kids would love it! love love love answers in Genesis! My kids would be thrilled to have this. I would love to have that Bible for my little girl! It looks wonderful. Count me in! I'd love to read this. What a nice giveaway! We love AiG and also have several little ones who want to carry a Bible! This looks great! Thank you for hosting such a wonderful giveaway!